"FOR EVERY PROBLEM, A LOGICAL SOLUTION EXISTS"
Essential Oils are not true oils but are highly concentrated plant extracts carring an intensive dose of plants therapeutic and magical powers. They have effect on our emotional nature. Oils contain some of the earth element, so they effect the physical nature also. 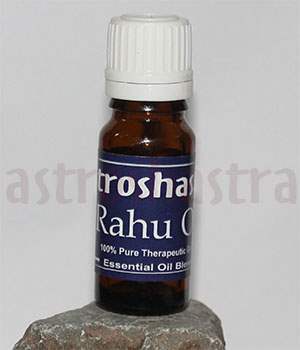 Plant oils carry with them the feeling or vibrations of the plant from which they came. The Plant kingdom is full of all kinds of plants that are intimate with the forces of divine creation. The mineral kingdom rules over all stones, crystals, and rocks. In Wicca and many other mag¬ickal paths, practitioners believe that the basic elements have their own kingdoms and planes of existence as well and can be represented by symbols in this realm. Plants fulfill a place in the Dvine Scheme without attempting to block the will of their creator. 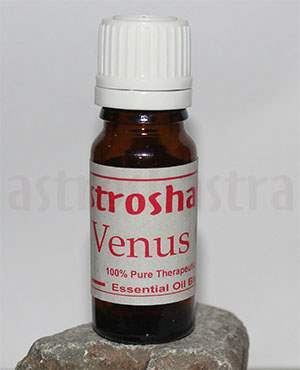 Oils have their own way of inciting certain influences; for example, the fragrance of a rose is for invoking love, romance, and the Goddess Venus. Some oils have multiple purposes, and some can be used for more than just one reason. 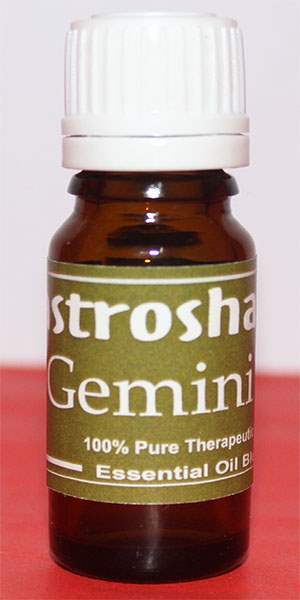 Cinnamon, for instance, can be used in love, money, or protection formulas. They bring to mind a myriad of different reactions. Some odors make us happy; others stimulate us to have energy. Some can even repel us or make us feel agitated and angry. 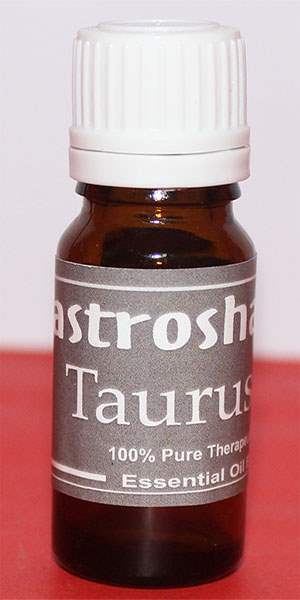 Astroshastra experts have created some unique blends of Natural essentail oils and natural herbs to benefit mankind. Our Magic blends derive from many places, cultures and era, ranging from ancient Egypt to modern America, from China to Arabia, from Jewish , Roma Catholic, and Vodoun traditions. We have collected herbs and oils from around the world, blended and infused the powers to work magic for work. Choose the blends that resonates with you. In many cases oils complement each other wonderfully, if you try two oils simultaneously, thats great! Let your inner voice guide you. 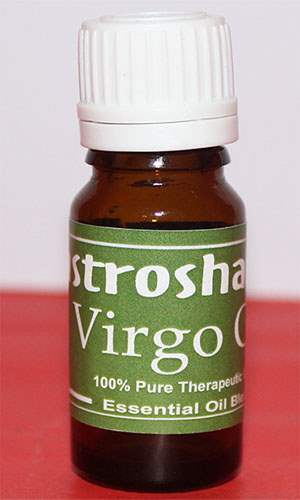 Astroshastra Magic Oils are spiritual and charged formulas made from real herbs and essences to apply on your body, your environment, a candle, or even another person. These formulas are made with real herbs, minerals and essential oils added to a oil base and then energized to give you specific effect. Look in the bottle and you'll see real pieces of the herbs inside! No people , religion or culture holds the monopoly on magic. Every culture in the history of Earth possesses magical traditions. Beware of the common cultural misconception of magic as something supernatural, something completely seprate from real life that will somehow save you from real life. Just because it can't be explained scientifically does'nt means it is'nt part of real life. Its a complementary art that works best when its fully integrated into real life for enhancement and reinforcement. These are never an excuse to behave stupidly like taking a magical approach to treating illness does'nt necessarily eliminates the need for a doctor. These are meant to empower you, to develop your hidden reservoirs of strength, insight and endurance. Magic won't do work for you, instead it enhance the effects of other action required of you, increasing your chances of success. You can apply the most powerful employment oil in the world but if you don't show up for the Job interview, its useless. 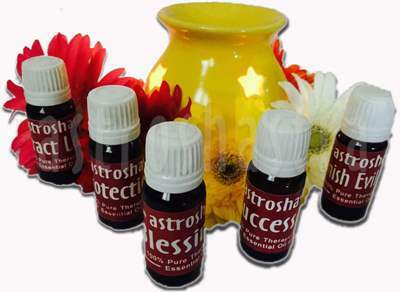 Astroshastra is proud to announce the addition of planetary magical oils to our catalog! 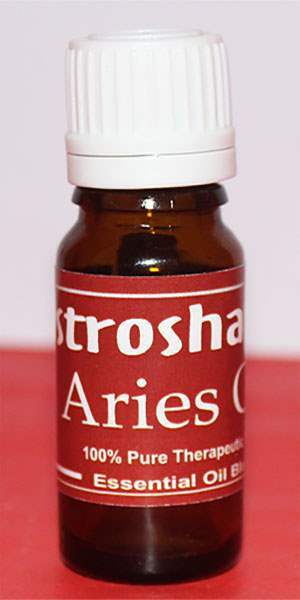 based on the principles of Vedic Astrology: an oil for each of the nine grahas or planets. 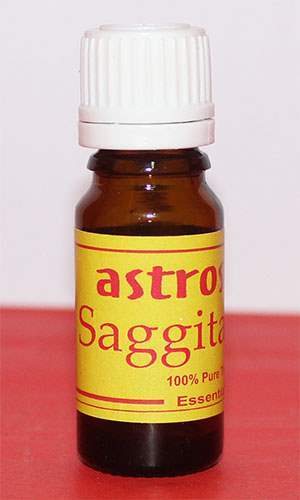 Magical oils are used in a wide variety of traditions for many purposes, limited only by the imagination. 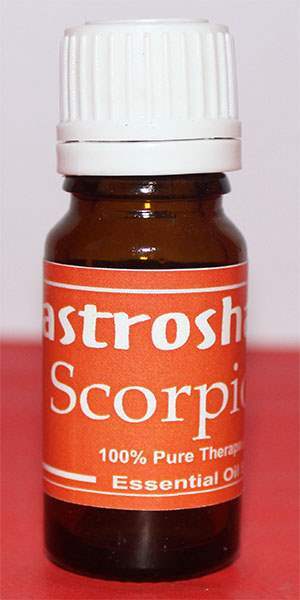 Common uses are for anointing, blessing, consecrations, and as augmentation of other magical works such as charms, talismans, and in candle magic. 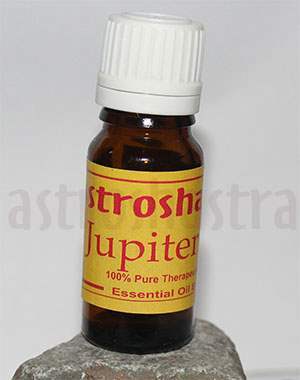 Planetary oils are useful like rudraksha, yantras and gemstones as remedial measures against negative planetary periods either in our birth chart or from current planetary transits. 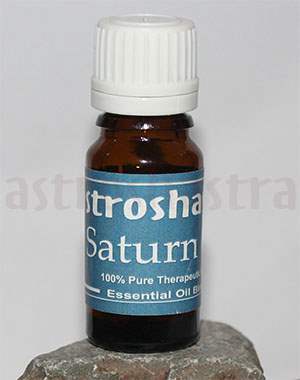 Our Planetary Oils are hand made. They require magically timed preparation during a Waxing Moon, on the corresponding day and hour of the planet. Ingredients generally include herbs, essential oils, and a carrier oil as a base; but can also include items that suit the purpose of the blend (bones, feathers, miniature dice, glitter, lodestones, etc). All of our planetary oils are made from a proprietary blend of rare herbs in an organic olive oil base. 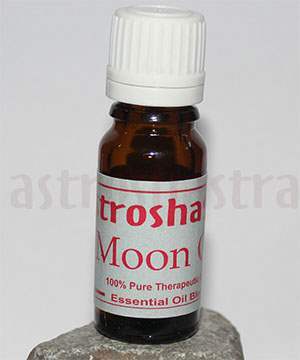 These oils are properly cured in advance at an appropriate and beneficial time according to Vedic Astrology to make them light and potent so they will penetrate the skin quickly and begin their healing and strengthening processes. These oils can be applied all over the body as part of your daily Abhyanga (self oil massage) or on the specific areas listed below; for each oil. All of our oils are 100% natural, made with essentials oils in organic olive oil. No Synthetics! Each recipe is original and hand made in small batches. This listing is for one 10 ml glass bottle with dropper insert. 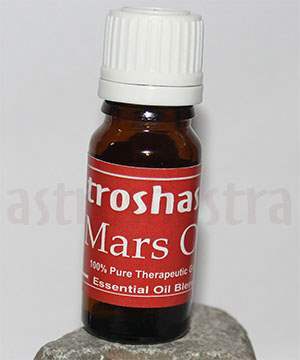 You can use all the oils every day, all at once on different parts of the body or suppose morning time you use Guru (Jupiter) Oil and mid day use Mangal (Mars) Oil and night time use Shani (Saturn) Oil. 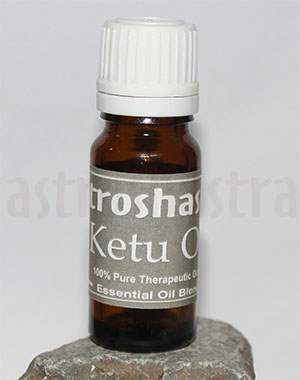 If you want then at night time use also Ketu Oil. 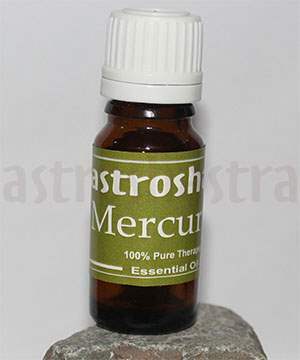 To use as a perfume: Rub a small amount on neck, wrists or anywhere you would like attention. Oil perfumes are perfect to bring with you so you can reapply anywhere, anytime. Because the natural botanicals will mix with your body’s chemistry these perfumes will smell slightly different on each person. 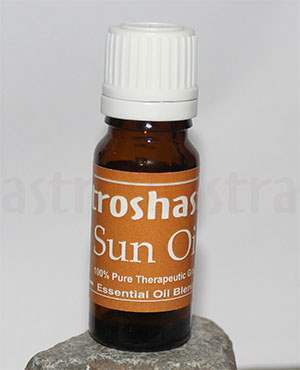 *Perfume Oils should not be exposed to high temperatures or left in direct sunlight. *If you are pregnant or nursing you should always consult your physician before using any product containing essential oils. *As with any beauty or cosmetic product, patch-testing for skin sensitivity is recommended.